All our baby gifts are hand picked to ensure you have access to the highest quality, most beautiful range of gifts for babies. We've got mum and dad covered too with our baby hampers, along with organic gifts, toys for babies and unisex gifts too. 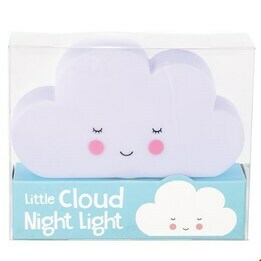 It can be hard to find great Gifts for Babies, but at Everything But Flowers we have a great range of Baby Gifts. 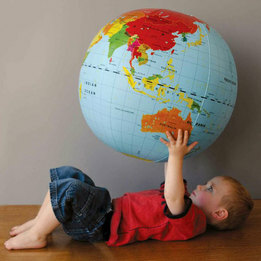 Everything But Flowers deliver our Baby Gifts Australia-wide and to all hospitals. Our gorgeous Gifts for Babies include baby gift hampers, Organic baby gifts, Organic Baby Clothes and Blankets, baby toys, nursery items and soft and cuddly Baby Gifts. 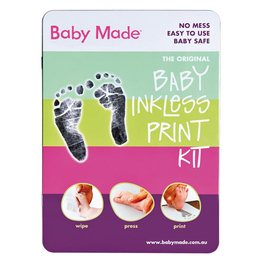 Our Baby Gifts start from $19.95 and we have gifts for baby boys and gifts for baby girls as well as gifts for new mums and dads too. If you’re looking for a special way to congratulate new parents or are struggling to find the perfect gift to bring to a baby shower or a child’s first birthday, Everything But Flowers has dozens of unique options that will surely leave a good impression. We offer many options for both baby boys and girls, as well as special treats for new mums and dads. Here at Everything But Flowers, we know how much joy and happiness the birth of a new child brings to a family. And our catalogue of baby and toddler gifts has been specially curated by our team of gift experts to properly commemorate such memorable occasions. 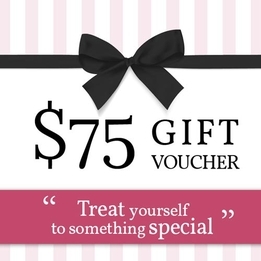 Everything But Flowers is one of the oldest and most trusted online gift stores in Australia. We pay special attention to our clients’ needs, and regard customer satisfaction as our top priority. Once you place an order, you can have your gift delivered directly to the intended recipient. For a small additional charge, we’ll wrap the gift in one of our premium embossed wrapping papers and include a gift card with a personalised message from you, which are all done through our convenient online ordering system. We offer delivery all throughout Australia, and orders worth over $99 are shipped free of charge. Everything But Flowers also accepts orders from all over the world, in case you need to send gifts to your friends and family who are living in Australia. If you need your gift delivered by a specific date, we’ll make sure your presents will arrive just in time for any special occasions. Everything But Flowers has a wide selection of baby gifts starting from as low as $9.95. We offer a range of high quality baby apparel such as hats, bonnets, pants, bodysuits, and socks in different designs to suit both boys and girls. We also offer fun essentials for babies and toddlers like elegant baby cutlery made out of pewter, Bunnykins miniature tableware from Royal Doulton, and feeding bowl and spoon sets from the popular children’s program, The Wiggles. Our baby gift catalogue also contains unique items for nurseries and children’s rooms like security blankets for boys and girls, and selected pieces from the Bunnykins collection like wooden photo frames, height charts and bookends. Another must have for any nursery is the baby mobile. So don’t forget to check out the Tiger Tribes mobiles that we offer for both baby boys and girls, which feature blue or pink elephant characters made out of soft jersey and cotton fabrics. We also offer a number of adorable animal plush toys from brands like Russ Berrie. Whether you choose just one or choose them all, you can help turn a child’s room into a playful mini zoo with our selection of lions, tigers, hippos, monkeys, piglets, elephants, dogs, sheep and a variety of cuddly teddy bears. For gifts that both moms and dads will enjoy, we’ve created some very special gift hampers that contain gourmet chocolates and treats, and even a bottle of Champagne for our more luxurious bundles. Each of our baby gift hampers also come with a memorable keepsake in the form of a mini teddy bear. Another elegant option is our selection of keepsake baby gifts from Bambino like the silver-plated Christening Certificate Box. Bambino also makes other unique items like the Photo Frame Set that comes with its own gift box where parents can store a lock of hair or important mementos. There is also the Handprint Photo Frame, which comes with a plaster cast kit so parents can take a handprint and display it side by side with the child’s photograph. Or you could go more traditional with the Bambino Linen Baby Album which comes in a beautiful presentation box that also features a set of silver-plated icons on the front. What Are the Most Popular Baby Shower Presents? 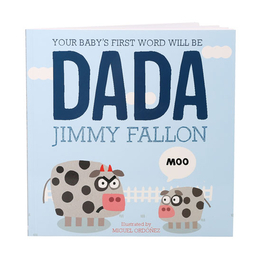 There are many baby gifts you could consider for a baby shower, but some prove more popular with parents than others. Some of the most popular presents for baby showers include baby hampers, and this is no surprise considering just how much baby gifts are hidden in such a hamper. Check out some of our latest baby hampers today to get the best baby shower ideas for your recipient. What Are the Top 5 Baby Boy Presents? At Everything but Flowers, you can find some of Australia’s top baby presents; this top five includes the Peter Rabbit Baby Hamper, the Waterford Crystal Rosary Beads, the Kate Spade Going Places Baby Frame, Illustrated Bible Stories, and a Hooded Towel by Little Bamboo. 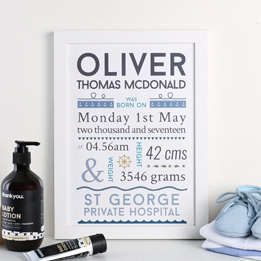 These presents can be used for a birth as well as christening, so be sure to check these options if you need a wonderful present for a baby boy. What Are Some Baby Present Ideas for Christmas? Do you need some Christmas presents for a baby who was born recently? No problem, because many of our baby presents are also suitable as Christmas presents. Some of our personal favourites for the holiday season include the Penguin Organic Cotton Bodysuit & Bib, the Bunny LED Lamp, and the Kate Spade Small World Baby Spoon Set. Of course, do not forget to check out some of the additional options we have available. Whichever gifts you choose from our baby collection, you can rest assured that you’re getting something unique, thoughtful and beautifully packaged that will put a smile on anyone’s face. Whether you need christening gifts, baby shower presents or a gift to celebrate the arrival of a new baby, Everything but Flowers has you covered with a nice selection of the finest baby gifts. Customers can acquire these gifts from the comfort of their own home and have them delivered at their doorstep. Alternatively, customers can also send their gift directly to the hospital or the address of the parents, which could prove beneficial for customers who live far away from the intended recipient. To ensure Everything but Flowers customers get the best, our team looks for the highest-quality baby gifts every year. Our search has paid off as well, because our range contains well-known brands such as Waterford, Marquise, Peter Rabbit and Tiger Tribe. Customers can also find numerous organic baby gifts within the Everything but Flowers range, so if the parents of the baby are environmentally-conscious, you can certainly delight them with any of the organic products available on our website.